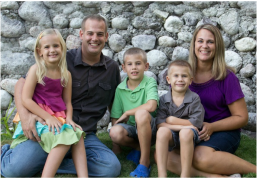 Rob and Becky have lived in Les Cayes, Haiti, since 2010. Rob provides leadership and direction for all field related activities including personnel and project leadership, management, and development. In addition to caring for their kids and helping out with various duties related to these Church Partnerships, Becky supervises all team hospitality at RMI’s Cayes Office/Guest House and at the Zanglais Retreat and Training Center. Becky also teaches part time at Cite Lumiere Christian School and fulfills the role of School Board Chair. They have 3 children, Drew, Tessa and Braden. Lee and Tina Nunemaker have lived in Les Cayes, Haiti since the summer of 2015. Lee provides oversight and leadership development to RMI's team of Haiti Partnership Facilitators, as well as serves as the liaison between the US team and the Haiti team. 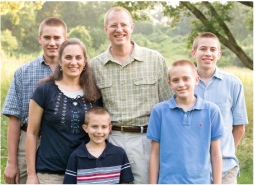 Currently, Tina homeschools three of their four children and teaches Bible part-time for the second graders at Cite Lumiere Christian School. Their oldest son, Daniel, has graduated and takes on a variety of projects while assisting with facility maintenance. Josiah, their second son, enjoys troubleshooting computer and networking issues. The younger two boys, Nathan and Isaac, enjoy interacting with teams who come to serve in Haiti. 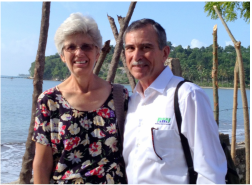 Joel and Laura have lived in Les Cayes, Haiti since 2014. Joel is serving as Director of Facilities Care and Development. Laura is the C3 Partnership Trip Coordinator. She is also leading RMI's medical and health initiatives. They have 8 children and 17 grandchildren all of whom are residing in the US.